Bill Gates, in a Tuesday blog post, said he would contribute to the Yes on 1631 campaign, vote for the measure and encourage others to do the same. Bill Gates has plunged into Washington state politics to endorse Initiative 1631, a November ballot measure that would set an escalating fee on greenhouse-gas pollution from fossil fuels. Gates, in a Tuesday blog post, said he would contribute to the Yes on 1631 campaign, vote for the measure and encourage others to do the same. He did not say in his blog post how much he would contribute to the ballot measure, which would raise more than $1 billion annually by 2023, to invest in projects to reduce greenhouse-gas emissions and help the state adapt to climate change. 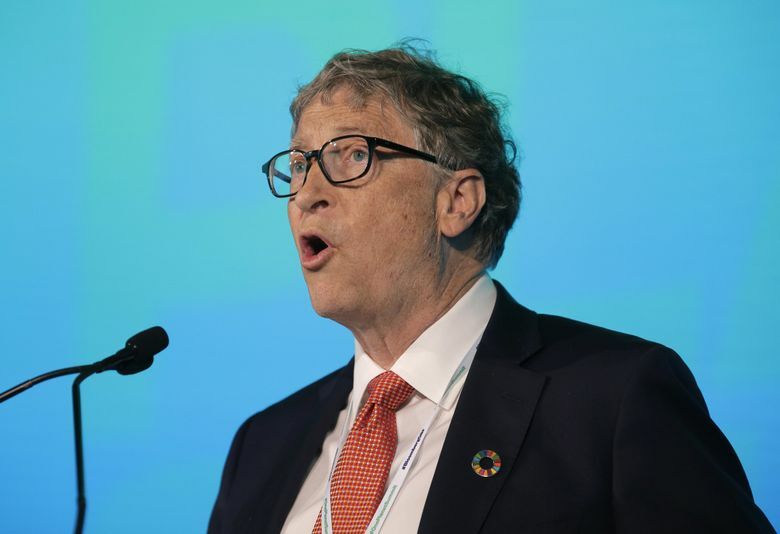 Gates, a founder of Microsoft and co-chair of Bill & Melinda Gates Foundation, said he initially was skeptical of the measure. He wondered how “one state could make a difference on a global problem like climate change” and noted that “unlike some supporters, I am not interested in attacking companies that provide affordable, reliable energy …” But he said climate change may be the “toughest problem humanity has ever faced,” and he overcame his doubts about the ballot measure. Gates made his endorsement on the same day that opponents of the measure released a report by NERA Economic Consulting that analyzes the financial and greenhouse gas-emission impacts of the initiative. That report concluded the initiative would result in higher costs to Washington residents and lower greenhouse-gas reductions than those projected in studies cited by the proponents. Gates has only infrequently donated to initiative campaigns or made public endorsements of a measure. In 2006, he and his father William H. Gates Sr. gave $285,000 to a campaign committee that successfully opposed an initiative to repeal the state’s estate tax. Then in 2010, he joined his father in publicly endorsing Initiative 1098, which unsuccessfully sought to institute an income tax on individuals who make more than $200,000 and $400,000 for couples. Since giving up the Microsoft chairman job, Gates has become deeply involved with energy issues. At the kickoff to the 2015 climate conference in Paris, he launched Breakthrough Energy Ventures, recruiting other billionaires for a fund to push clean-energy ideas out of the lab and into the marketplace. So far, this group, has invested more than $1 billion, according to Gates. Gates is also the chairman of the board of Bellevue-based TerraPower, a nuclear reactor design company that is working to develop new technologies. Gates cited several reasons for supporting I-1631. Gates thinks that passing the measure would help Washington become a hub for work on clean energy and climate. Also, he wrote that the measure would help create a market signal to drive adoption of renewable-energy sources and it also would help to keep two sources of what he termed “clean energy” — hydroelectricity and nuclear power — competitive. Gates is diving into an initiative fight that is expected to be the most costly in state history. Currently, the Washington State Public Disclosure Commission lists more than $8.3 million in contributions to the campaign seeking to pass the carbon fee. They include $1 million from the Nature Conservancy, $900,000 from the League of Conservation Voters and $500,000 from Craig McKibben, who founded a Seattle-based software company. Former New York Mayor Michael Bloomberg also has pledged a $1 million to the campaign. Backers of the ballot measure are being outspent by opponents, who have received more than $22 million in contributions. Opponents have not derided the concept of putting a price on carbon pollution, but have said the measure is flawed. They argue it offers too many exemptions for big polluters and would unfairly burden consumers and state businesses with a fee that would rise each year on fossil fuels that power cars and trucks and heat homes. The report released Tuesday by the No on 1631 coalition was conducted by six NERA researchers who have not taken a position on the ballot measure. Their study determined what the authors call the “net (financial) impact” on households. This includes the direct expenses of higher fossil-fuel prices but also what the authors said were other costs resulting from passage of the measure. They concluded that, in 2020, the average Washington household would shoulder more than $36 a month in additional expenses, and those household costs would rise each year after that. That figure is disputed by initiative proponents, who cite an analysis by the Washington State Budget & Policy Center, a backer of the ballot measure, which put the put the direct added energy costs in 2020 at $13 monthly per household. The NERA report also challenges the proponents claims about the scope of greenhouse gas emissions that would be achieved by the measure. The NERA researchers forecast that state greenhouse-gas emissions would decline between 2020 and 2035 by 12 million metric tons. Their report found that 7.2 million metric tons of that reduction would result from the carbon fee, and the rest would have happened even without the measure. Proponents dispute that conclusion. They say the measure is designed to reduce state carbon emissions by more 27.8 million metric tons by 2035, and will accomplish that goal, according to Nick Abraham, a spokesman for the Yes on 1631 campaign.